Preheat your oven to 325 degrees F. Combine cranberries, water, and honey in a medium saucepan over medium heat. Cook for about 4-5 minutes, until most of the cranberries have popped. Add Dijon mustard, vinegar, brown sugar, and paprika and continue to cook for another 3-5 minutes until the sauce has thickened. Remove from heat and use an immersion blender to blend the cranberry mixture. Place the ham on a roasting rack and use a brush to coat the ham all over with the cranberry sauce. Place the pan in the oven and roast according to instructions on ham. About 20 minutes before the ham is done baking, brush with sauce one more time. Once the ham has finished roasting, remove from the oven and transfer to a cutting board. 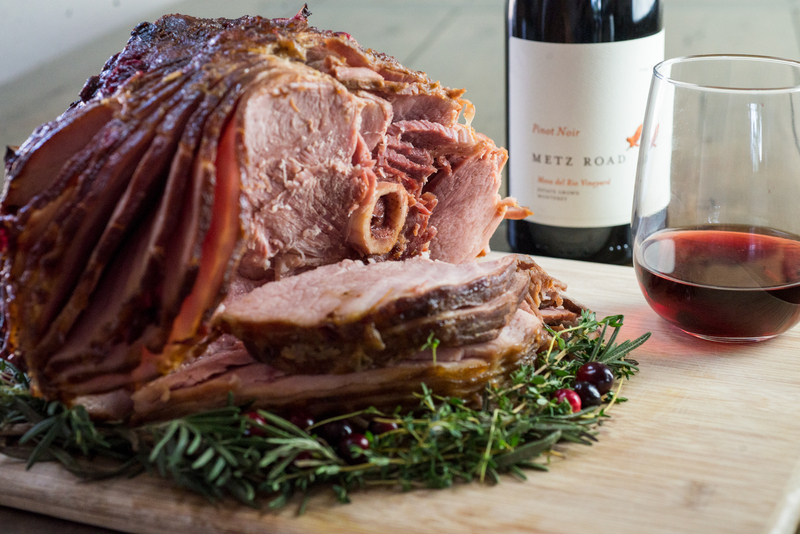 Surround the bottom of the ham with fresh sprigs of rosemary, thyme, and cranberries for a beautiful presentation. Here's a quick reference guide to our order and shipping schedule for the 2017 holiday season. Please note that these shipping dates are intended to be guidelines and can change depending on weather or any other unforeseen events. 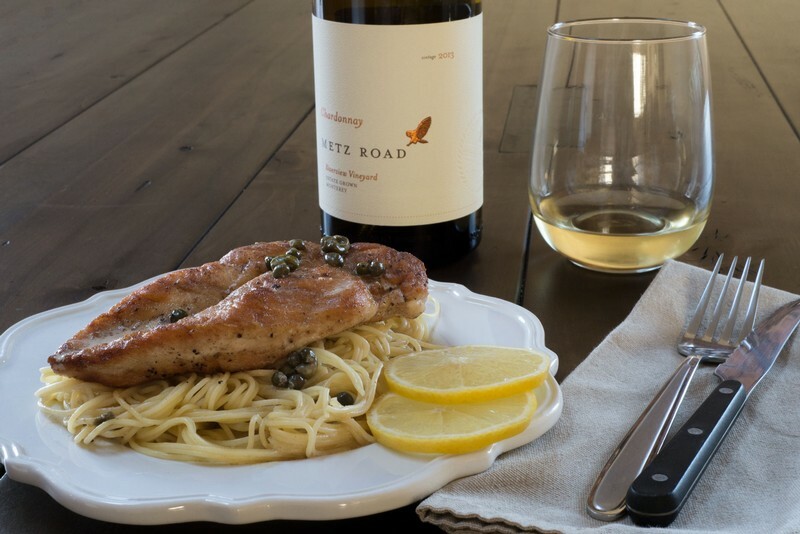 If you have any questions about the status of your order, please give us a call toll free at 1-888-772-4343 or email us at contact@metzroadwines.com. Temperature Controlled Shipping: order must be received by 12/04/2017 for departure on 12/08/2017. Ground UPS/FedEx Orders: order must be received by 12/14/2017 and last day to ship to arrive by Christmas is 12/15/17. 3 Day/2 Day/Overnight UPS/FedEx Orders: order must be received by 12/17/2017 and the last day to ship to arrive by Christmas is 12/18/17. Our fulfillment house, UPS, and FedEx will all be closed on 12/25/2017. Our offices will be closed Friday, December 22nd and will reopen Tuesday, December 26th. Have a Merry Christmas! 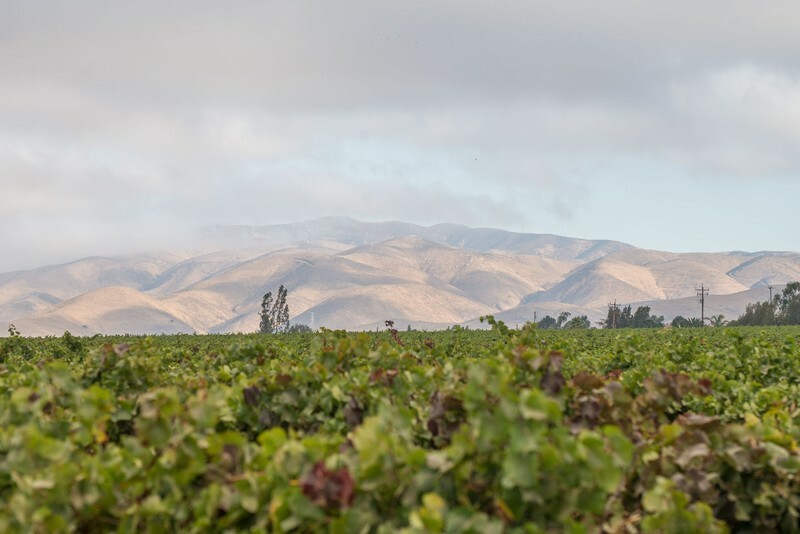 Metz Road is owned by Scheid Family Vineyards. It is distributed nationally in all major markets. In a large pot of boiling, salted water, cook pasta according to package instructions; drain well. In the meantime, heat 2 tablespoons butter and 2 tablespoons olive oil in a large skillet over medium high heat. Season each side of the chicken breasts with salt and pepper and dredge in the flour. Working in batches, place the chicken breasts in the hot skillet and cook for about 3 - 4 minutes on each side, or until nicely crispy and no longer pink inside. Ensure breasts do not touch and that there is sufficient room in the pan. When done, remove from skillet and set aside on a plate. Turn the heat to medium. Add chicken broth, lemon juice, heavy cream, and capers. Bring the sauce to a boil, stirring occasionally, then reduce heat to low and continue cooking until slightly reduced, about 4 minutes. Season to taste with salt and pepper. To serve, place pasta on plate, set chicken on pasta, spoon the sauce over both then sprinkle chopped parsley on top. When you place an order for shipment to Alabama, a Metz Road Wines representative will reach out to you and walk you through the process. Simply choose the ABC Liquor Store closest to you, and we’ll do the rest! 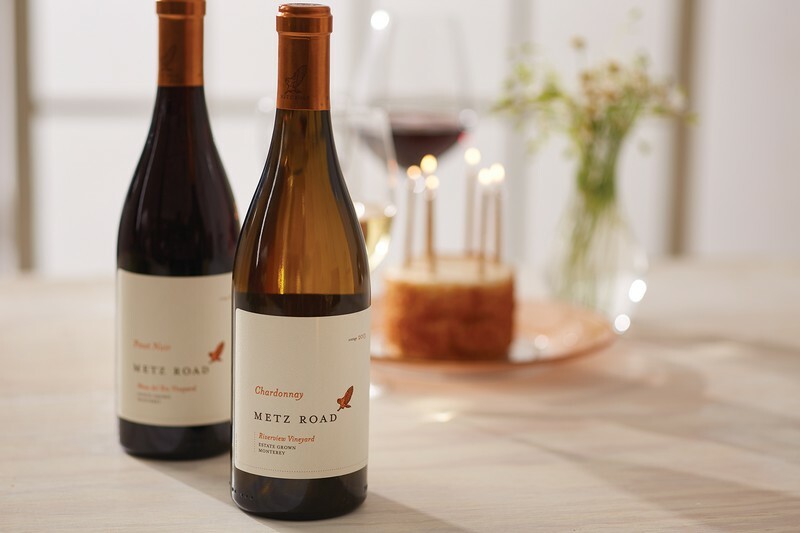 If you have any other questions about shipping wine to Alabama, please reach out to us at contact@metzroadwines.com or call toll free at 1-888-772-4343. 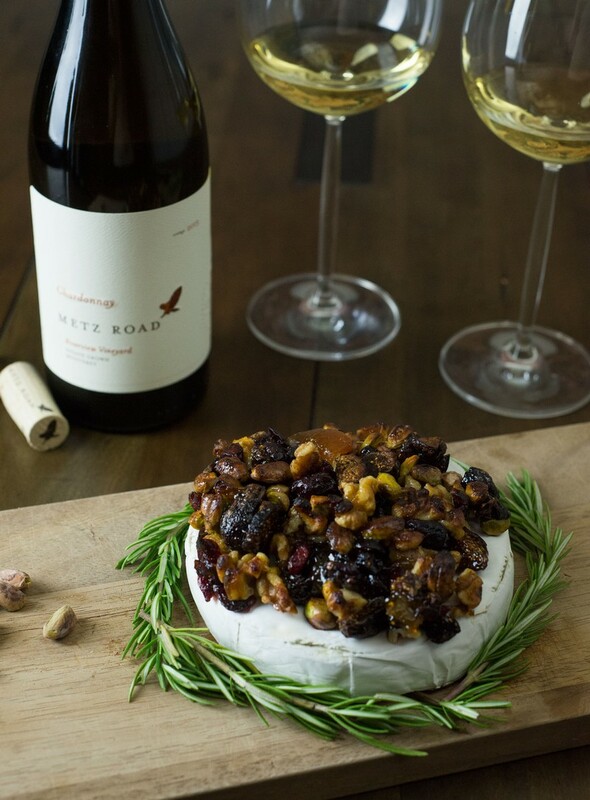 Try pairing our Chardonnay with brie - the creaminess of the brie works perfectly with our medium-bodied Chardonnay. Experiment with different toppings including salami, fresh pear slices, almonds, and honey. For our Rosé, try pairing with fresh goat cheese on water crackers and topping with pistachios, dried figs, proscutto, or strawberry preserves. 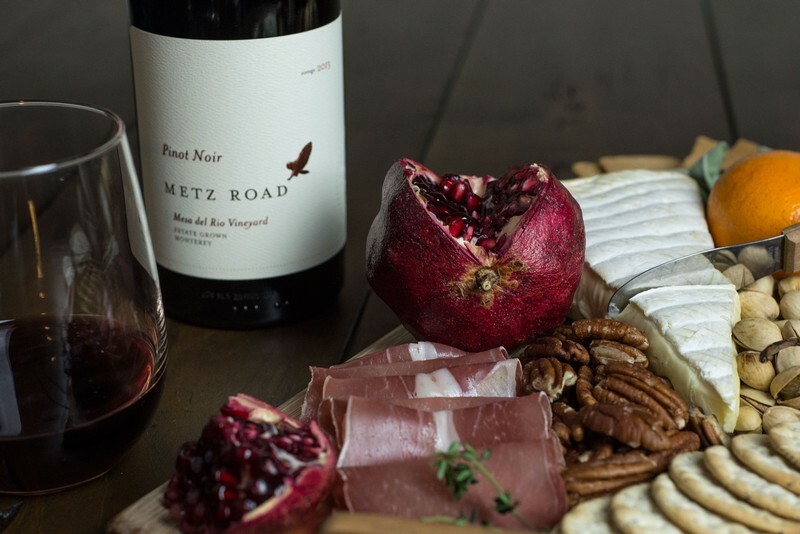 With our Pinot Noir, choose an aged cheddar, smoked gouda, or a wedge of asiago. Top with proscuitto or salami. 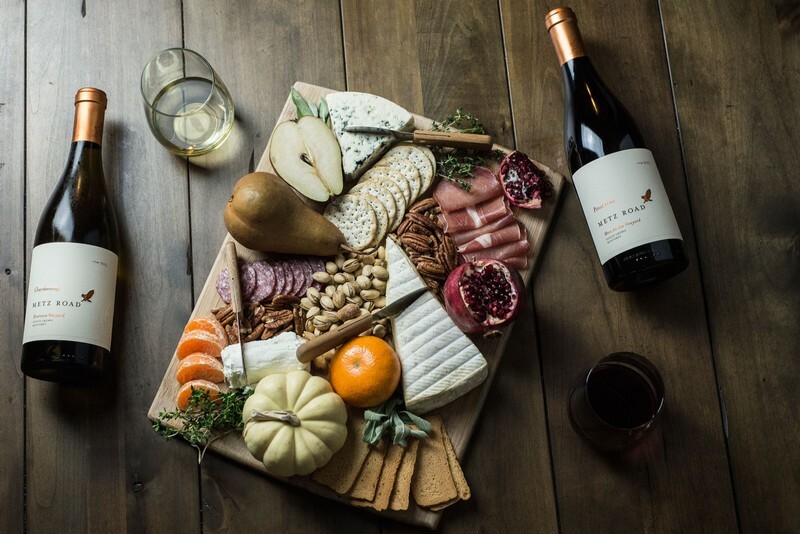 Assemble your cheese board by first placing the cheese, then adding crackers, toasts, and cured meats. Fill in the gaps with nuts, fruits, and fresh herbs for an effortlessly elegant look. Your guests will love discovering the diversity of flavors! 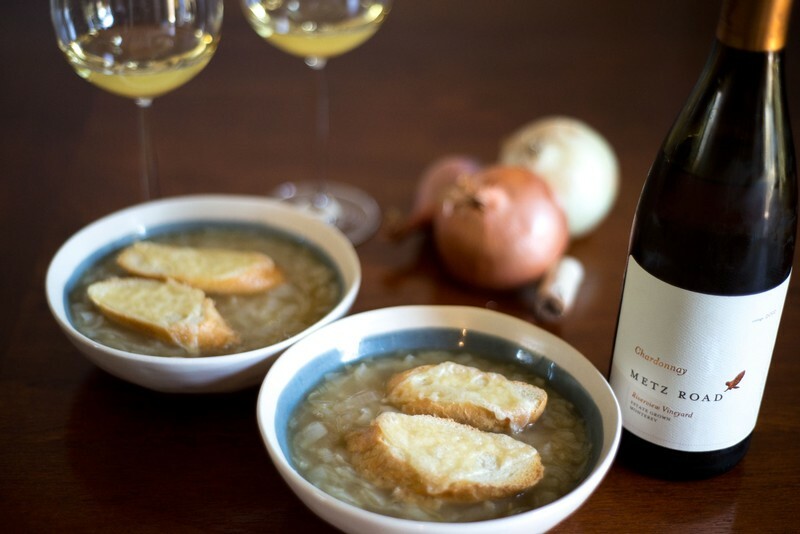 Be sure to show us your creativity by tagging us in your photos with #MetzRoadWines! This recipe is one of those dress-me-up-or-dress-me-down types of meals. Need to impress the in-laws? Serve alongside pasta! Want a quick and wholesome dinner after work? Make a salad with a light vinaigrette while the salmon bakes and in a few minutes you'll have a tasty, healthy dish the whole family will enjoy. 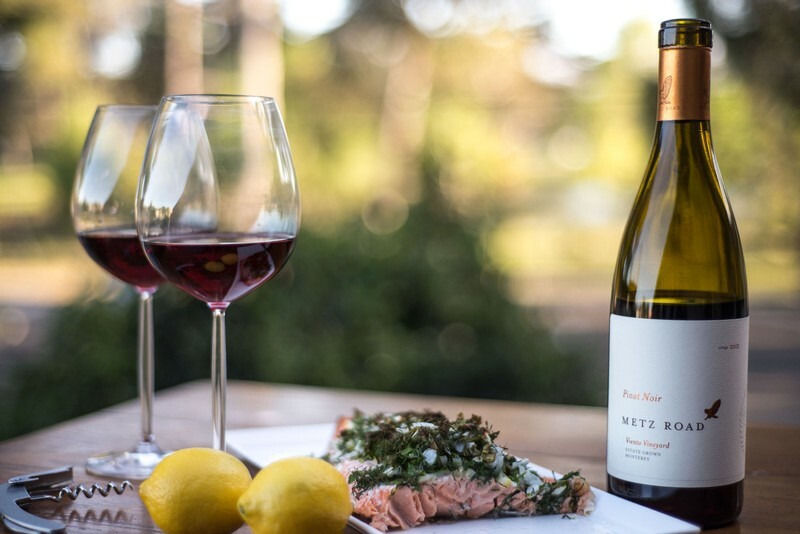 Paired perfectly with our 2012 Metz Road Pinot Noir, this bright and aromatic style of Pinot Noir perfectly matches fish dishes such as salmon. Preheat oven to 400° and generously grease a glass baking dish with olive oil. Place salmon filets skin-side down on the foil and sprinkle with salt and pepper. In a separate bowl, mix the shallot, herbs, olive oil and juice from half the lemon. Thinly slice the other half of the lemon into rounds. Place on salmon in a row across the top. Gently spoon the herb mixture on top of lemon and pat to cover filet evenly. Bake for 10 - 11 min or just until the salmon is cooked (you can check by inserting the tip of a small knife into the center). Serve and watch the compliments roll in. Preheat oven to 350°. Place baguette slices on baking sheet and brush with 2 tablespoons olive oil. Bake for 8 – 9 minutes or until bread is crisp and lightly browned. Heat 2 teaspoons olive oil in skillet over medium-high heat. Add mushrooms and sauté for 1 minute then add garlic and thyme, sauté for 1 minute then add wine and balsamic vinegar, lower heat to medium-low and cook until liquid is almost entirely reduced, about 6 minutes. Remove from heat and set aside. In a small bowl place 1 teaspoon olive oil, Chèvre, ricotta and 1 teaspoon chopped chives; stir until well combined. 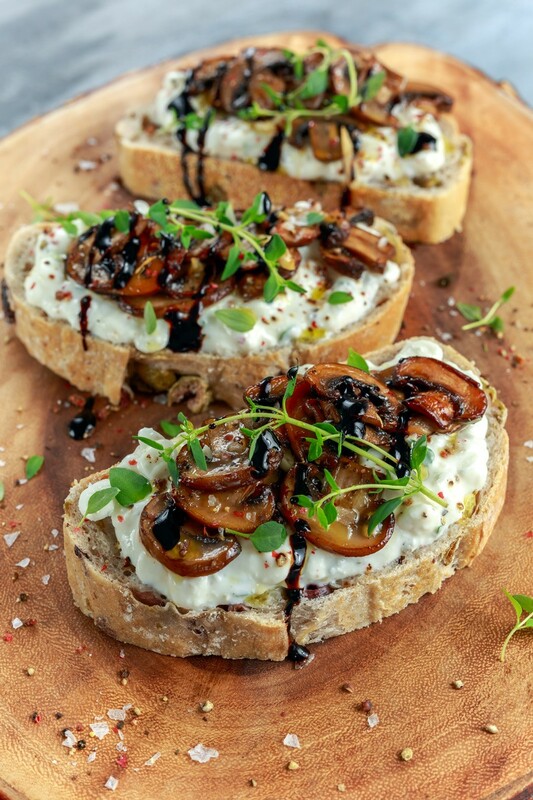 Spread thin layer of cheese on each crostini, top with mushrooms then garnish with red pepper flakes and sprig of thyme. 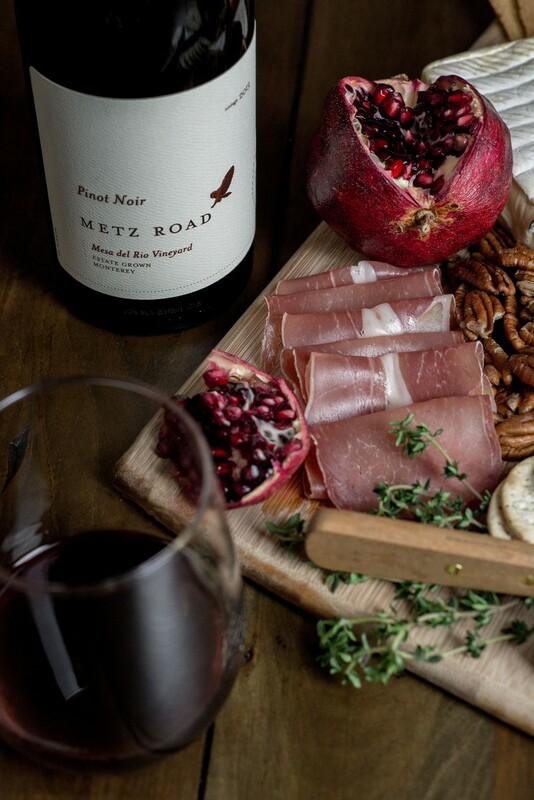 Serve immediately with Metz Road Pinot Noir.